Bones and Muscles are vital structures of our body. A healthy set of bones provides structure to the body and also protects the internal organs and anchors the muscles. It is important to have right balance of vitamins, nutrients and minerals to keep all the systems in the body function properly, and keeps your bones and muscles strong and healthy. The part of food that can help your body is in the vitamins they contain. Calcium is vitally important to the development of strong bones. When a body is deficient in calcium, it pulls it out of your bones. In order to maintain optimal health, we have listed top 10 foods for strong bones and muscles and keeps your body fit and health. When it comes to building strong bones, there are two key nutrients: calcium and vitamin D. Calcium supports your bones and teeth structure, while vitamin D improves calcium absorption and bone growth. Calcium is also of high importance to your muscles. It affects your muscles through the contractions of movement. Vitamin D helps calcium be absorbed into your body and be used more efficiently. Eggs are considered by many to be the perfect form of protein, which is important for muscle building. 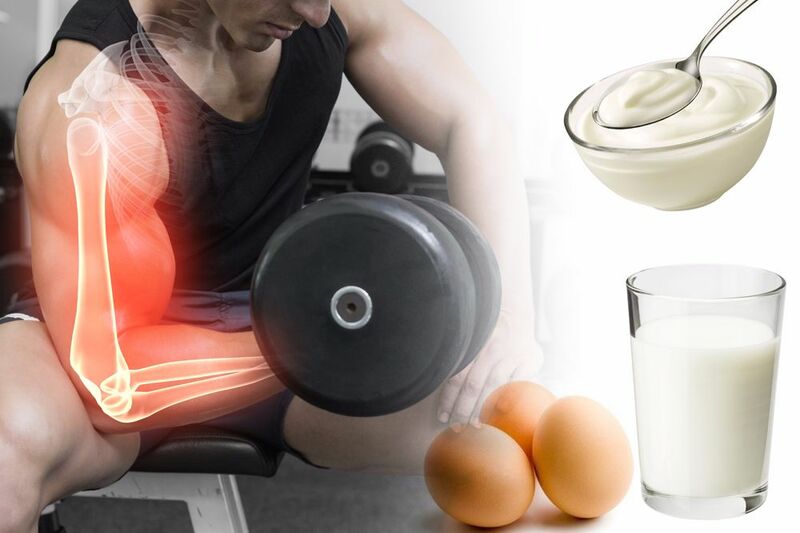 In fact, when compared to more traditional protein sources like beef, you actually need to consume less protein from eggs to get the same benefits for your muscles. For an added bonus, make sure you don’t forget the yolks. This part of the egg also provides you with vitamin B12, which helps your body break down fat. Most yogurts are fortified with vitamin D, and depending on the brand, you could get 30 percent of your daily calcium intake from yogurt. Don’t skip out on the greens, especially spinach. Just one cup of cooked spinach contains 25 percent of the daily recommended dose of calcium. It also contains plenty of fiber, iron and vitamin A. If you just can’t stomach spinach, make a fruit smoothie and add handful of fresh spinach. Certain cereals—like Kashi U Black Currants and Walnuts, Total Whole Grain, and Wheaties—contain up to 25% of your daily vitamin D. When you don’t have time to cook salmon or get out in the sun, cereals can be a tasty way to get your vitamin D.
Sesame seeds contain various nutrients for bone health, such as calcium, magnesium, phosphorus and vitamins K and D. You must daily consume at least one-fourth cup of these crunchy seeds. These delicious nuts are high in protein, low in carbohydrates, and are packed with vitamins and minerals. A small handful can last all day as they are amazingly filling. Olive oil contains monounsaturated fat that helps keep your muscles from breaking down and becoming weak. When cooking your foods, this is always a better choice than vegetable oil or other varieties.